Home > Fashion > What to Do If You Experience "Dress Regret"
In a world where there is an entire television franchise based on shopping for wedding dresses, brides feel a lot of pressure to make sure they’ve chosen the absolute perfect dress. Unfortunately, that leads to a lot of women with “dress regret” – fretting that they have made the wrong choice. Dress regret often occurs when brides let their shopping entourage over-influence the decision. Other times it’s because they rushed into the choice, whether due to a great sale or buying the first dress that looked good. Having to purchase the gown months before the wedding leads to plenty of time to second-guess your choice. If you already have a dress you love, we recommend not poring over pictures of the latest bridal fashions in order to avoid thinking the grass in greener on the other side. It’s important to remember that while there are hundreds upon hundreds of beautiful dresses, not every gown looks great on every body type. If you look and feel great in the dress you bought, feel comfortable in that decision. However, all that is just advice on how to avoid dress regret. What if the regret has fully set in? Luckily for you, we have tips for that as well. - If you feel regrets immediately, you are probably better off canceling right away while you can get your deposit back. You can always order it again! - With the time it takes for a gown to come in from the designer, and then the time it stays away for alterations, your second thoughts may just be separation anxiety. - If the dress has already come in, give yourself some time before deciding to buy another one. Bring someone to your fitting for reassurance if that will help. - Oftentimes there are little tweaks that can be made to a bridal gown to help it feel like the perfect one. Experiment with different veils and jewelry, try a belt or sash, remove some hoops to make a ball gown less voluminous or add a petticoat to make an A-line dress more princess-like. - Once you find yourself quite literally losing sleep over your shopping regrets, then it may be worth it to try a second dress. - If your deposit cannot be refunded, sometimes you may be able to use the deposit for a different gown at the same salon. - While you may not get all of your money back, selling your first choice will help fund a new one as well as provide another bride with a dream dress she might not have been able to afford! For more wedding fashion ideas and advice, click here! 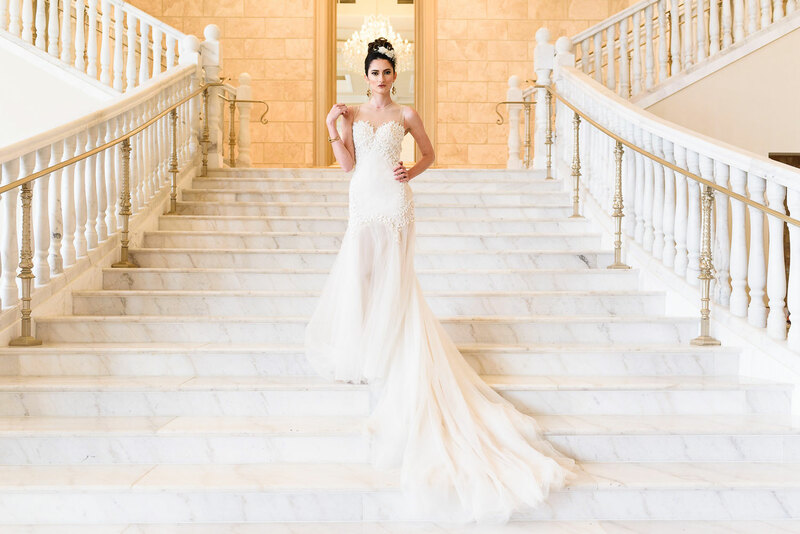 Also, be sure to discover tips and advice from bridal stylist Maradee Wahl of Dear Maradee on finding the perfect wedding dress, the first steps to take when selecting a bridal gown, deciding to wear a veil or not, walking down the aisle in style, and selecting the right jewelry for your dress.